Evolution of Barbie فلمیں. I think Barbie's appearance/character design is getting severe. Barbie's features are become مزید and مزید cartoonish. Oh wait she's also transforming into an عملی حکمت (like in Video game hero). 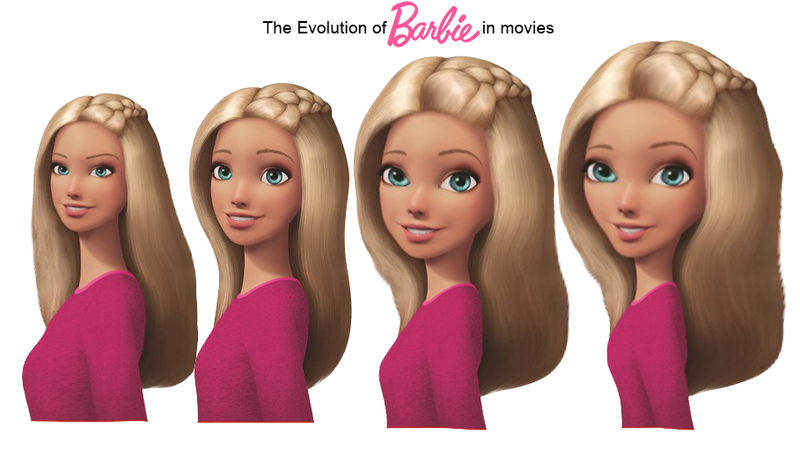 it's really painful to see the changes in the design.. HD Wallpaper and background images in the Barbie فلمیں club tagged: photo barbie evolution movie barbiemovies.